4 1/2" x 2 7/8"
Also, shown above is a Guideline Sketch based off of Melissa Joy's Snowman design as she has kindly allowed us to provide it should anyone wish to use it as a guide. You will find it under the photo of the cutter. To save either, click on the photo, right click to either "Save Image" or "Copy Image". From there paste into Word or whichever program you like. You can then resize it from there as needed, print it to follow along or place it on a KopyKake. 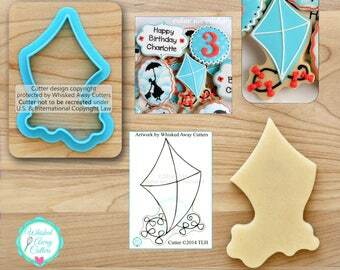 ** Food safe PLA cutters are HAND WASH ONLY, not dishwasher safe, cannot be used to cut hot and should not be left to soak in hot water. 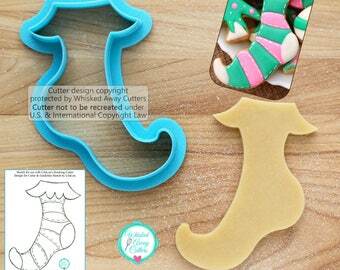 This is an aspect of all food safe PLA cutters. Care must be given to the specialized tapered cutting edge when storing as it can get nicked or damaged if hit with another cutter or sharp object. Proper care will ensure years of use from your Whisked Away Cutters. 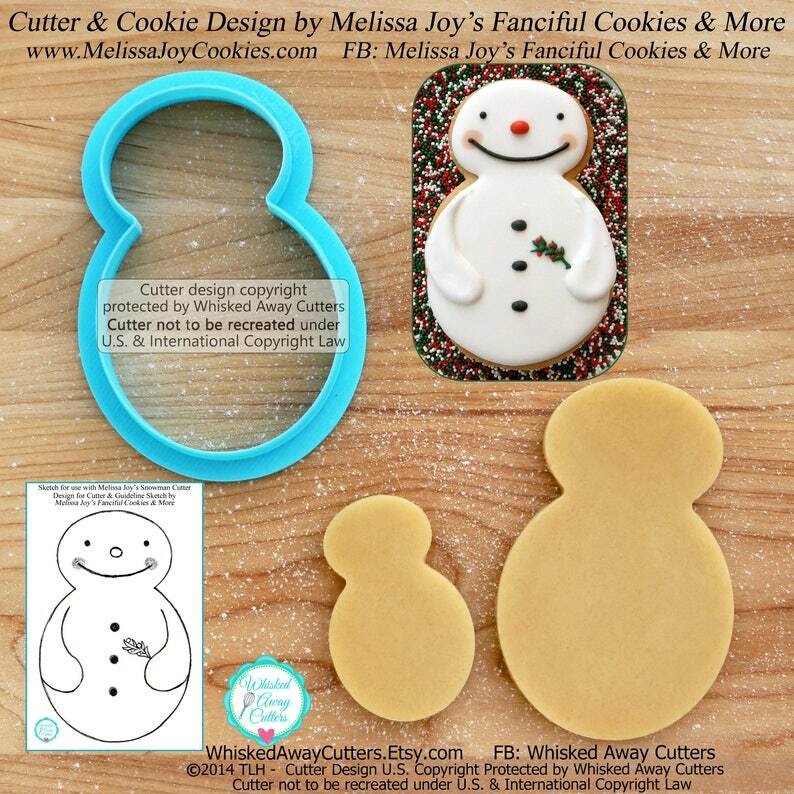 Maryann, The Cookie Artisan, recently had this to say, "I love how your cutters feel in my hands and how comfortable the edges feel as I cut cookies! Used my first cutter to cut 350 cookies and the edges on the last cookie looked as great as the first cookie!" 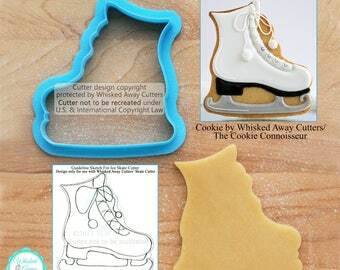 Current shipping time is shown on our home page beneath the banner at https://www.etsy.com/shop/whiskedawaycutters. Shipping for our shop is done via USPS First Class Mail, which is listed as 3 - 5 days on average. Priority Mail is listed as 2 - 3 days on average and is available for purchase as a separate item. Again, shipping times are not guaranteed. Please bear in mind the normal order processing time that is shown. We will make all efforts to expedite your order when Priority Mail is selected, but it will be a matter of the number of orders already placed. Please see "Shipping & Policies" for more shop information. Payments can be made with all major credit cards via Direct Checkout or through PayPal. Orders that are filled are not eligible for refunds. Please check the contents of your box upon delivery. If a box or cutters arrive damaged, please let us know within three days of delivery of your order. We will need a photo of the damaged box and damaged cutters. Cutters damaged in shipping will be replaced. 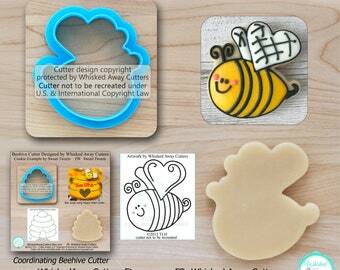 Whisked Away Cutters is not responsible for cutters that are damaged due to improper washing, storage or use. Please read carefully the care instructions that come with your cutters and again, if any arrive damaged we need to be contacted within the three day time frame from delivery of your order to get it taken care of. You will receive a tracking number once you have placed your order. Once we ship a box with USPS it is no longer under our control. If tracking shows that the box has been delivered and you did not receive it please contact your local post office immediately with your tracking number so your postal carrier can let you know if they put it in a different location than normal or find if it was misdelivered. Once a box has left our hands it is the responsibility of USPS. 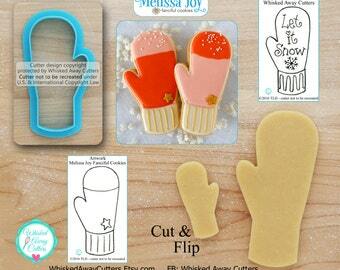 Whisked Away Cutters cannot be responsible for boxes once they are shipped. First Class shipping will not insure your order. If you wish to have your order insured, please select priority mail shipping and that will insure it for up to $100. Shipping days stated by USPS are not guaranteed. Please bear in mind the normal order processing time that is shown prior to shipping. We will make all efforts to expedite your order when Priority Mail is selected, but it will be a matter of the number of orders already placed. Once your order is placed, you will be sent a confirmation number. Please use this for tracking your package, if desired. Please allow 21 days before filing a claim for a lost package. We are now shipping internationally via USPS First Class International as that is the best rate for the customer. Please be aware that there may be customs fees, duties or import taxes due by the customer when receiving an order from the U.S. Your customs form will have the value including shipping listed on the box. Each country will have a threshold before charging fees and it varies by country. For example, our understanding is that the U.K. has a low threshold of approximately $24, but some countries will have a threshold of $200, so it is dependant upon the country. This does not show threshold, but shows fees for each country. http://www.uscib.org/?documentID=1676 For more information on fees and taxes that you might incur within your country, please contact your local Post Office. Please allow two to six weeks for international shipping. Tracking is provided, but only within the U.S. Once it leaves the U.S., we cannot track it. If your box has not arrived within 45 days, please contact your local Post Office first. If shipped to the correct address provided, If it does not arrive to you and is returned to us, we will reimburse the cost of the cutters minus the shipping. Due to the time involved to produce our cutters, we do not sell wholesale. We are not taking custom orders at this point. Prices are determined by the print time and amount of PLA used. Cutters with intricate shapes and curves as well as larger cutters require substantially more print time and are priced accordingly.